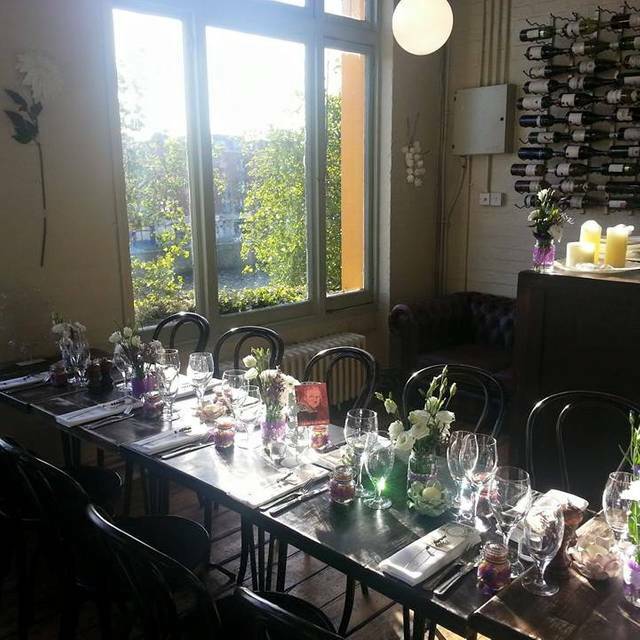 The Winding Stair is an award winning Irish restaurant overlooking Dublin's famous Ha'Penny bridge. 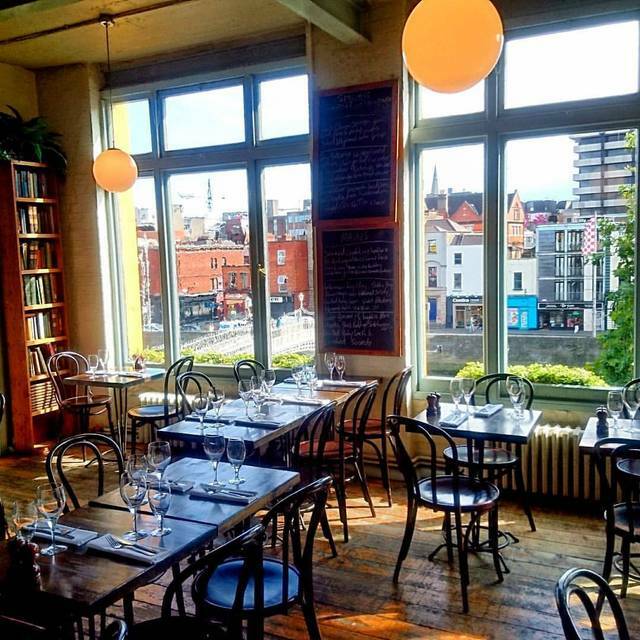 The restaurant originally became a Dublin landmark in the 1970's named after a Yeats poem, giving it some true local history. It opened again in 2006 and became what it is today. Serving micro-brewery beer and food produce sourced from Artisans from the Island The Winding Staircase enjoys sourcing locally. 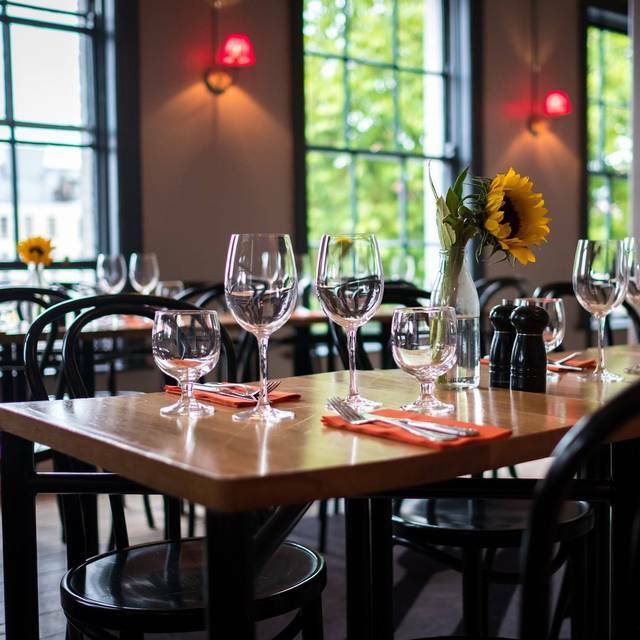 Serving dishes from Marcoom's Irish buffalo mozzarella on their A la carte to roasted pumpkin wedges on their lunch menu there is a great twist on Irish dishes throughout the day. Amazing, memorable food & service. Thank you for having us! Food was excellent and at a great location. Restaurant itself is a little small and you are very close to other tables, but I would recommend. A gorgeous meal for 7. We had a great table, great food, great service and a great night. The seafood platter starter was my favourite item on the menu, but everything was just delicious. I felt that it was very expensive and the food was reasonable, the service was good and the staff were friendly and attentive. I think that the noise level was loud with background music intrusive. 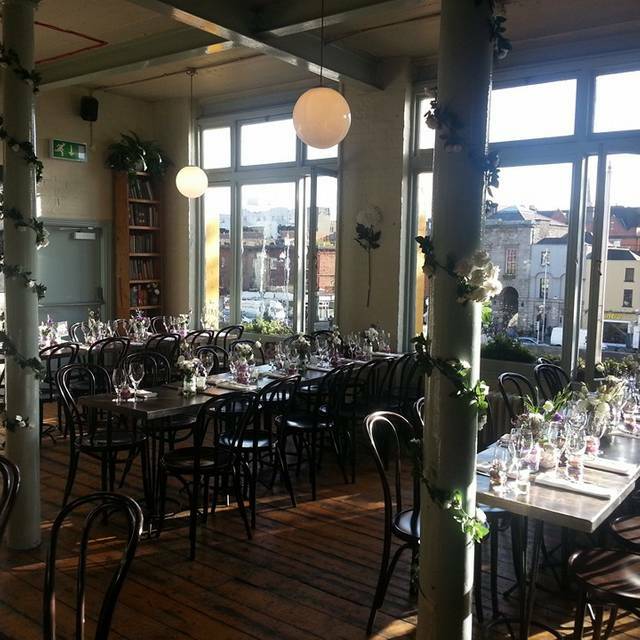 On the plus side it's a lovely venue and has great views across the river and the Ha'penny Bridge. I guess the restaurant has to pay city centre rent prices so they have a lot of overheads to manage which makes Dublin expensive to eat out in. I had a gift voucher so was glad of that - but I won't be rushing back. Our second visit. Stunning food and presentation. Will be back on our next visit to Dublin. This place was nice and low-key, very relaxed and elegant. Maybe a little pretentious, but not overwhelmingly so. I had the seafood chowder with chorizo, which was delicious, and the onion polenta with white asparagus, which was kind of dry - would not recommend. A really nice glass of Malbec complemented the meal nicely. My dinner companion enjoyed her Megrim very much. Overall a nice experience - would repeat, but avoid the polenta. Everything great but the food, which was indifferent and expensive. Atmosphere and service were great. Excellent food and wine. Cozy room overlooking the river. A bit noisy. Great food and wine. Delicious vegetarian options and a lovely view to boot. We’ve always liked The Winding Stair but the restaurant was very busy on this particular night and tables here are very close together. Staff were running around trying their best not to brush off one table while serving another. It was so busy that we were left standing unattended at the door despite having a reservation and being passed by numerous staff members. One server actually asked us to move out of the way so he could get a menu. It also took quite a while to have our plates cleared. The couple at table beside us didn’t seem to have the same problem however with one particular server finding lots of time to stand and chat with them. The menu isn’t huge but the food (and wine) we had was very good and portions very generous. Been my favorite Dublin restaurant for twenty years. Best chowder in the world. Brilliant staff. Eat everything, tip like an American (meaning tip BIG!). Food was ok ; needed better service ; wanted another glass of wine but no one ever came back and inquired. 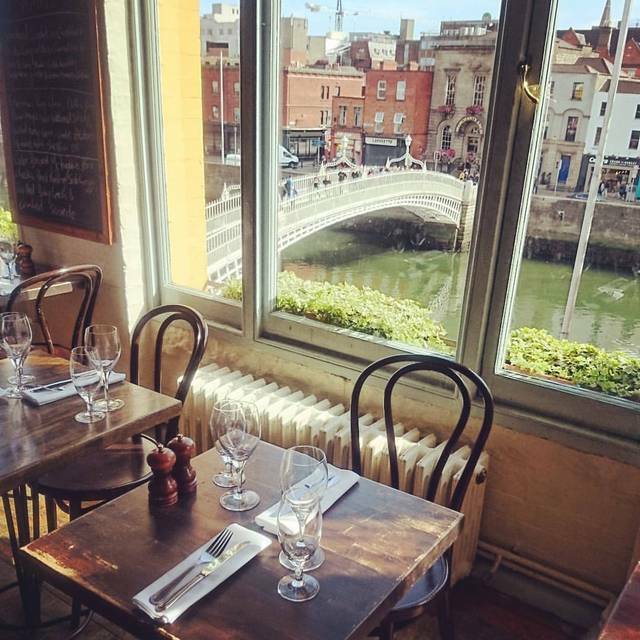 Comida tipica irlandesa con un toque de modernidad, platos muy bien presentados, personal muy profesional y atento, vistas incomparables del rio y el half-penny bridge. En fin, repetiremos sin duda si volvemos a visitar Dublin. Great location and lovely staff but food wasn’t good. Friendly service and nice atmosphere but our steaks were tough and tasteless. Not good value food for the price paid. Lovely food in a relaxed cosy setting. Not too loud even on a Saturday night and enough room between tables that you dont feel crammed in. Very pleasant and attentive service. Only draw back was that open table had not specified it was only at 2 hour sitting at the time of booking. This was only mentioned when the restaurant called to confirm the booking. Wine menu by the glass was a little limited, but good. Similarly with the pre-theatre menu, limited choice but very good food. I also like the energetic atmosphere in the restaurant, you can still hear each other speak at a normal volume though. Overall, a good place for lunch and chat. Food is good, however very pricey!! Fantastic food and service with an imaginative wine list. It was the highlight of our Dublin dining experience. Friendly team - amazing food and were accommodating when we added an extra person to our group at the last minute. There were 5 in the party so we had a range of food from the menu. The pork chop was very tasty. The haddock starter was excellent. Both the lamb and the steak were also very good. Complemented by a good wine selection overall a very good evening. It should also be noted that next t many restaurants of this quality are open on Sunday night in Dublin. We were recommended this by a friend on a recent trip to Dublin and were not disappointed. Wonderful service, amazing food and intimate setting. The lunch deal was particularly good value. Gluten free options were no problem. My favourite dish was the sole (Megrim?). I’d happily go back again. Great food, very attentive staff without being in your face, good value and just the right intervals between courses. ...will be back for sure! Food, service and ambience were all top notch. I fancied a particular lamb dish with sweetbreads, but don't like mint and it came with a sauce mint in it. No problem. The chef made a gorgeous lamb just with zero mint. This was my first experience of sweetbreads and they didn't disappoint. Everything was pitch perfect. I'd highly recommend The Winding Stair. This was highly recommended by a friend for our last night in Dublin! We were on the top floor with a great view of the river. Our server was super! The food was very very good! Save room for dessert! Plenty of character and buzz, nice view of the Liffey. I had the pre theatre menu. The starter and dessert were memorable, main course was fine. I will definitely go again. Delightfully delicious. 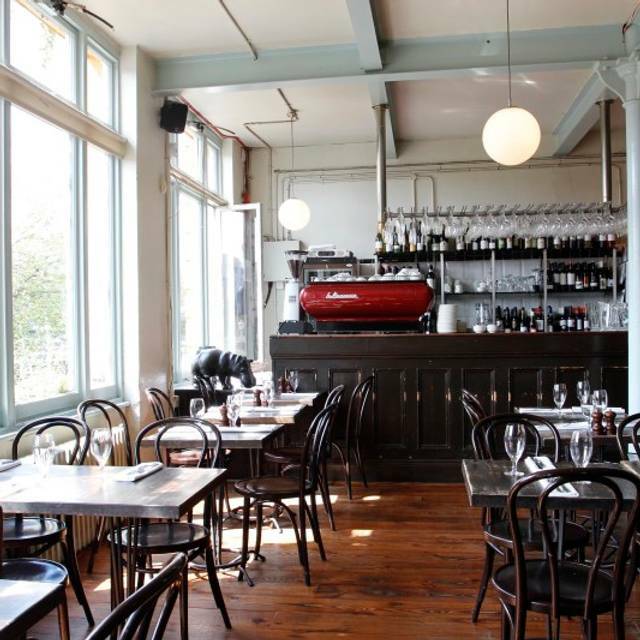 Atmosphere was cosy while the service was excellent. Although recommended by a friend, I am sad to say I left feel rather unimpressed. Despite enjoying the main somewhat more the first course, also known as first impression was very bland and tasteless and very expensive for what it was (Celeriac soup). Also the staff were very friendly, I felt that they tried too hard and when the bill came for 100 Euros, well I felt I had been stung and could think of far better expensive experiences. I am not sure why the place is even in top 100. Food was not even average...it was poor. Extremely over priced for an extremely sub standard food. I don't mind paying for a small portion of food if it was quality, but honestly, the food was shockingly bad. Wouldn't recommend. Food was very good and the view is excellent! One of us had the 3 course and one a la carte. The desserts in particular were very good. As another reviewer commented, it is a small place and gets noisy, but not overwhelmingly so. Service was great. Extensive wine list. 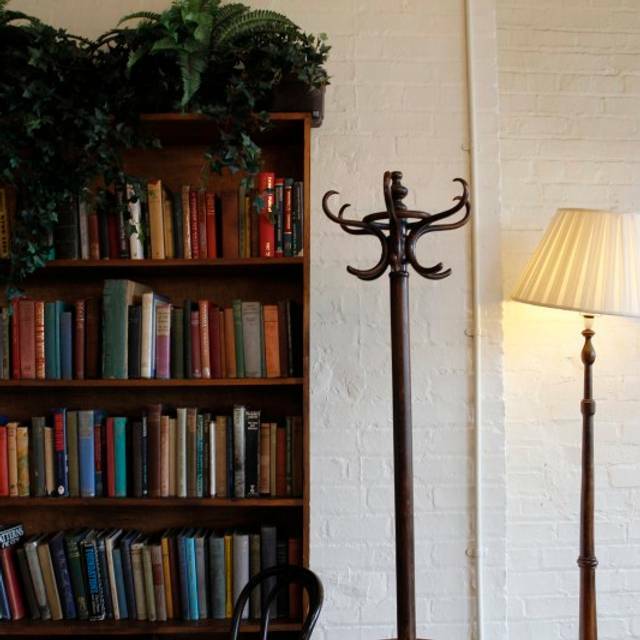 The Winding Stair is an outstandingly excellent restaurant. It has a compact and interesting menu with always a few additional, enticing evening specials. They have a very good selection of wines by the glass. On my most recent visit I had poached smoked haddock with a cheesy mash and it was the ultimate in comfort food. Unfortunately, this time around, their bread and butter pudding was sold out so I had the chocolate tart which was excellent even if it was a tad heavy (I could not finish it!). 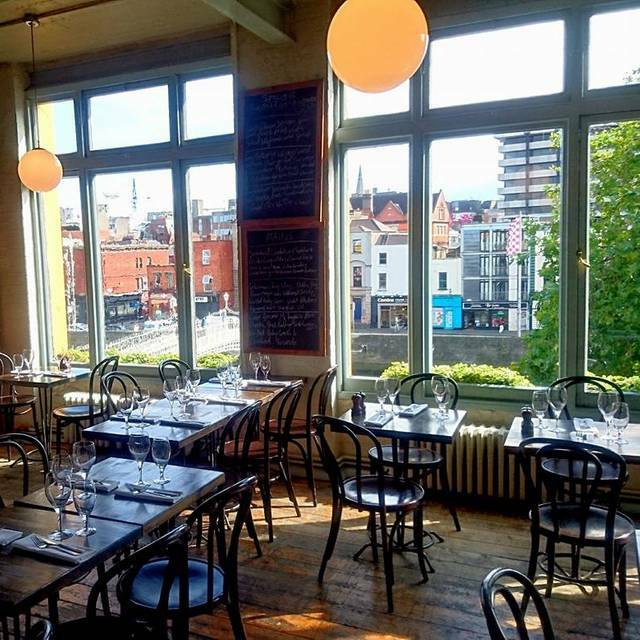 The room is very atmospheric with lovely views of the Liffey if you are lucky enough to get a window seat. The only negative is that it can be a little noisy from the voices of satisfied diners. 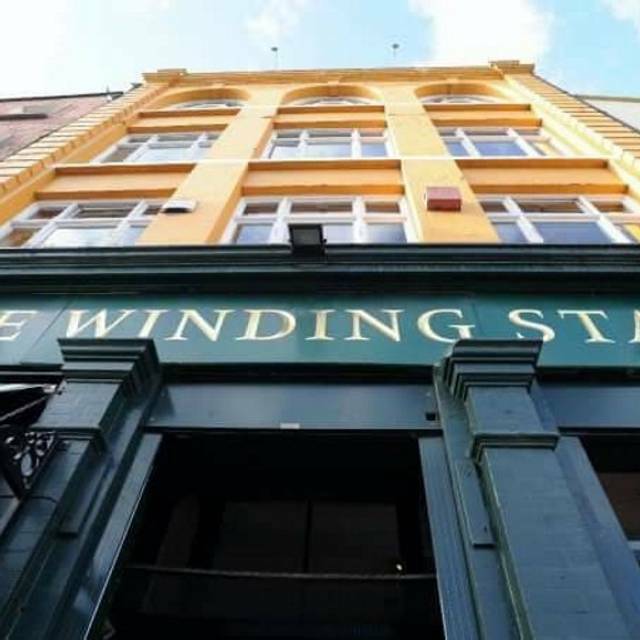 I have been to the Winding Stair on a number of occasions and I have always received great and relaxed service.